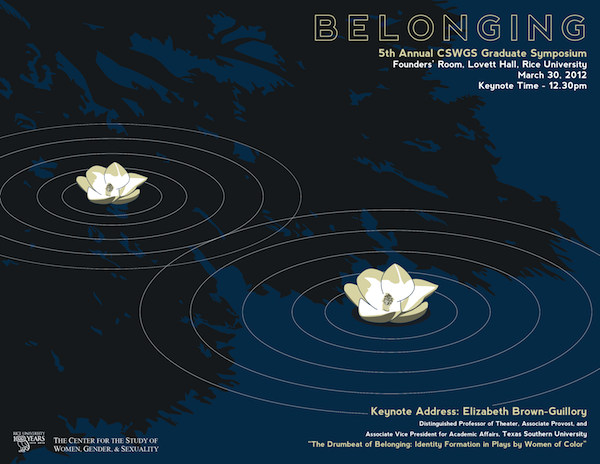 A poster for the fifth graduate symposium at Rice University’s Center for the Study of Women, Gender, & Sexuality. By folding in half, the design doubled as the symposium’s program cover. The magnolia ripples imply the owl logo of Rice University.